Tamari-Glazed Mushrooms and Quinoa, Perfect Lunch! Simple Pasta with Smoked Tofu, Perfect Lunch! Zucchini Raviolis, perfect for the BBQ! Vegan Burgers \\ Burgers Végan! Incredible sauce for fancy vegan bowls \\ Sauce Incroyable! Turmeric paste: where were you before?!? Herbal Teas Everyone Should Have! Tofu Bacon Bits \\ Morceaux de bacon végans! Coconut yogurt: this time it worked! 1 bowl chocolate chip and oatmeal cookies! \\ Biscuits au chocolat et à l’avoine! My favourite oatmeal toppings \\ Deux options gruau! Calling out to other vegans! Vegan Story Time, Luisa from Sardinha fora da lata! Food Prep: avoid waste, save time + money! How do you cook your beans? \\ Tu les cuis comment, toi, les légumineuses? What do you have in your vegan kitchen? \\ Il y a quoi dans ta cuisine végane? I am a Mindfulness Instructor! What is the food rally? Where Would I Take Aida Mollenkamp? Busy long weekend and Giveaway! Avataq and the most wonderful herbal teas + Giveaway! \\ Avataq et les meilleures tisanes + Tirage! Materia vegan body care products, a review \\ Les soins Materia, des produits pour le corps véganes, je teste! 2 books to make you feel good! “The Witches of New York”, a rave! DIY Gift #3 Bath Bombs! \\\ Cadeau-Maison #3: Bombe pour le bain! Christmas 2016- Surviving the Holidays! \\\ Survivre aux fêtes! 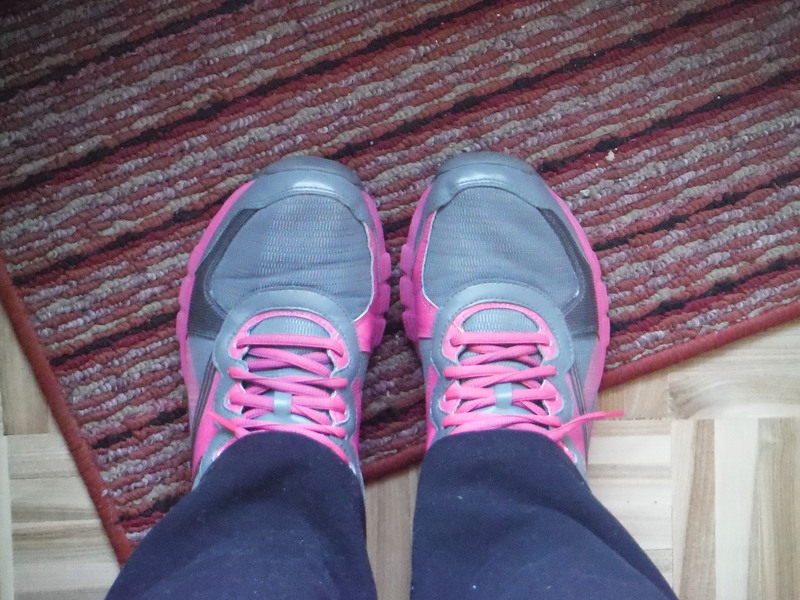 Something new has been cooking at My Lighthearted Kitchen: an exercise section! Motivation Tips Let’s go, on est capable! Feeling overwhelmed? You’ve got your back! 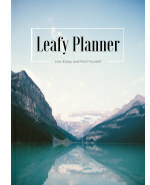 The Leafy Planner, or my latest project! What is the Lighthearted Kitchen? Go check out Go Study Annie! Here are my personal tips that I try to keep in mind as I am trying to start running again after many months of laziness. Keep in mind that each body is different and that I am not an expert in any way. This bunch of ideas help me stay motivated and make my running life easier. 1- The first step out is the hardest, so don’t worry too much about the rest! Once you put your sneakers on and walk out the door, you are already half way there. If you are out and about, give yourself a pat in the back and start walking. Warm up your body, look around and enjoy this time you give yourself. Once you start to feel ready for more, your body will ask to run by itself as you already have a strong desire to run. Don`t over think it; just be aware of how you are feeling and enjoy! 2- You don’t need an iPhone, lululemon gear or any other expensive material to run. People have been running way before apple existed, before lululemon launched its first pair of super tight yoga pants, and before Nike created fit bracelets. Giving yourself the excuse of not being well equipped to delay your training is a waste of time and a big fat lie to yourself! All you really need to run is a good pair of sneakers, a t-shirt and some comfortable sweat pants or shorts. Add in a pair of sunglasses and a cap/bandana and you are good to go! Don’t overlook the shoes you wear though because good shoes can prevent many injuries and make your running life dreamy. So next time you go for a run, leave the electronic devices at home, keep it simple and just listen to what your body is telling you instead of relying on technology. 3- Treat yourself to downhills. Remember that running should be fun, not a sadistic activity. Start with running downhills; you’ll work your way to uphills soon enough. I am lucky enough to live right next to the Mount-Royal, meaning that I can go between downhills, uphills and straight roads. It might sound a bit lazy, but hey! I am out and running, and downhills still work your cardio 🙂 I found that running downhills is a gentle way to get back to it as I run straight roads as well. I try to incorporate one or to uphill roads at the beginning of the run just to say, but I find that ending with downhill gives me the satisfaction of keeping on running while still being gentle to my body. 4- Embrace your body: remember that it is your current body that enables you to move and run. Instead of focussing on the dream body you wish to attain through exercising, focus on the body you have now as you start running again. This is the body that has the will to train, and that kicks itself out the door every day to exercise. So itself of fueling this extraordinary being with negative thoughts, be patient and proud of what you are doing. 5- Don’t stop running at your doorstep. Just as you took the time to walk before you started running, take the time to walk after you ran. This will help you cool down from the effort you just did and will help your muscles get some blood and oxygen. This will prevent or lessen the level of soreness you will feel on the following days. Take advantage of that time to think about your run, reflect on your progress and listen to how you are feeling. I hope you can find something to help you out in these tips! These are just a couple of things that I do and find useful. Let me know what you think and remember to be gentle with your body. Afterall, it is the only one you have. What I learned from my back injury is that you can push yourself to do better, but moderation will take you farther than anything else. So get ready to sweat and listen to your body! My Lighthearted Kitchen on Facebook! Where are you writing from?